Birds flock to a pair of dried sunflowers on a cold, bright winter day. This tree and farmhouse caught my eye on a snowy walk one day. The print is made from my original oil painting. 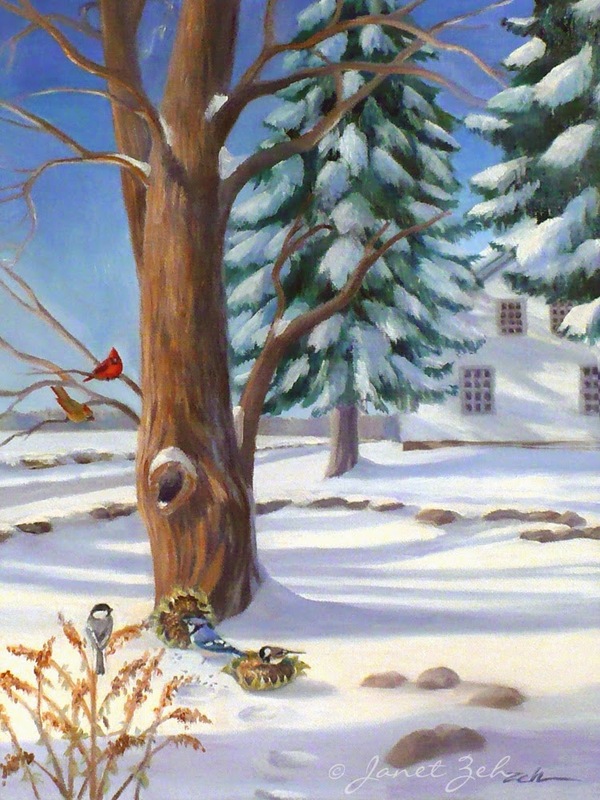 'Winter Day' Print is available in several sizes and print options. Click the Order Print button below for sizes, options and prices.